For as long as I can remember, City Chic has been a favorite brand of mine. Always on trend with chic silhouettes, gorgeous fabrics and details like gold trim belts, I can always count on City Chic for great, fashionable options. This seasons is no different and Macy’s is definitely carrying some of my favorite City Chic styles. 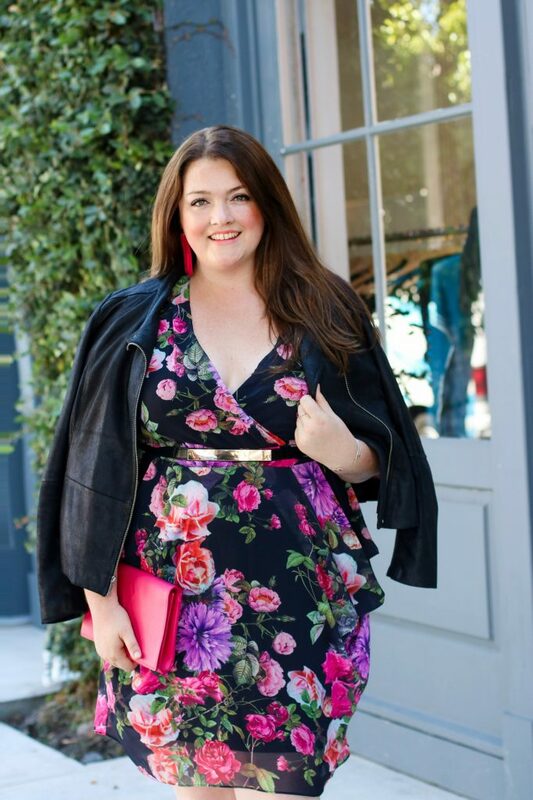 First up, let’s talk about one of my favorite fashion trends for Fall – dark florals! 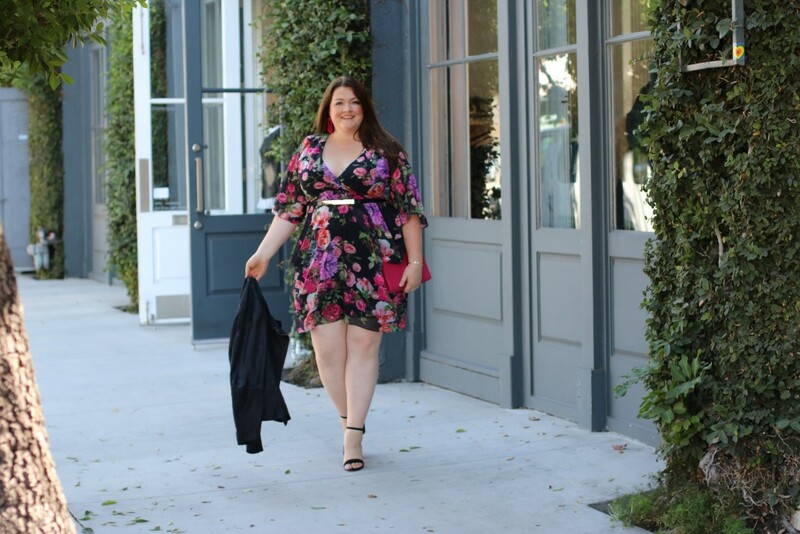 Florals are one of my favorite go-to’s for transitioning into Fall and when I saw this Chelsea Belted Faux Wrap Dress, I knew I had to make it mine. This fresh patterned floral print combined with a faux wrap silhouette is a fun flirty dress for this season’s upcoming events or brunch with the girls. I paired it with these cute INC Kiva Two Piece Sandals and added a versatile cute clutch for daywear or going out vibes. I plan to wear this dress to my upcoming events and dinners with the girls. For cooler days or more coverage, a black faux leather jacket from City Chic pairs perfectly to complete the look. Love the floral print on this dress!!! !